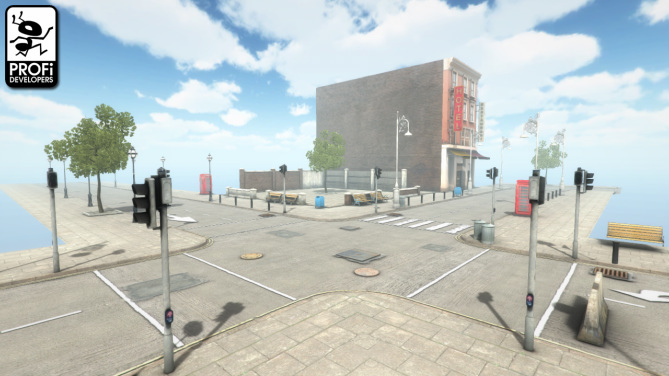 - 93 game prefabs for photorealistic city. In package are road puzzles, lamps, semaphores, road signs,benchs,walls,fence, 1 unitrees and many more objects. Package has 74 Textures. Quality suitable for FPS type games. Some objects are in two variants - hi and low.